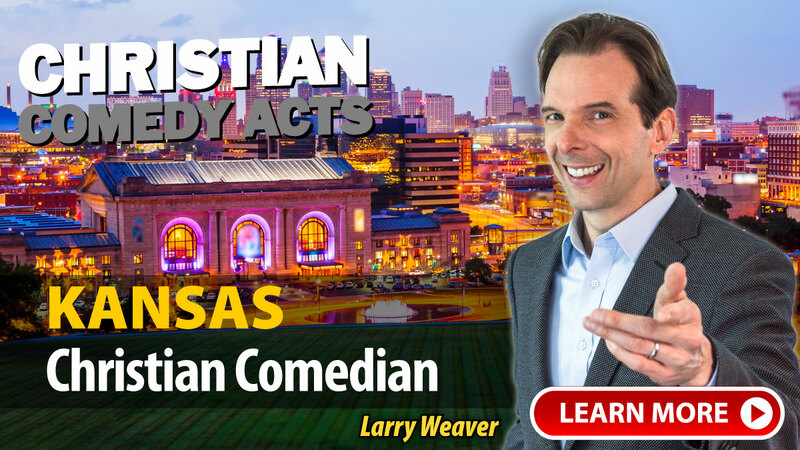 Christian Comedy Acts helps you find local Christian comedians, Christian speakers, Christian magicians, Christian ventriloquists, and top clean comedians in the Kansas area. Find Christian entertainment for your church fundraiser, banquet, outreach or ministry event today. Christian comedian Bob Smiley honed his talents as the MC for bands like Newsboys, Third Day, and Mercy Me. This exposure led to church leaders asking Bob entertain their youth groups. Forced to match their manic energy, Bob developed a machine-gun approach to comedy. He is one of the nation’s most in-demand and hilarious clean comedians. And he absolutely loves his job, no matter how many times his father challenges its legitimacy as a career choice. "Bob was great for all three of our services! He was very funny with a great message to take home as well! He was just as likable off the stage as he was on the stage! Homerun!!" A few of the towns these nationally-touring Christian Comedians have performed in include: Atchison, Beloit, Colby, Dodge City, Garden City, Hiawatha, Hill City, Hutchinson, Independence, Lawrence, Liberal, Lyons, Manhattan, Salina, Scott City, Seneca, Shawnee, Topeka, Ulysses, Wichita, KS and others.